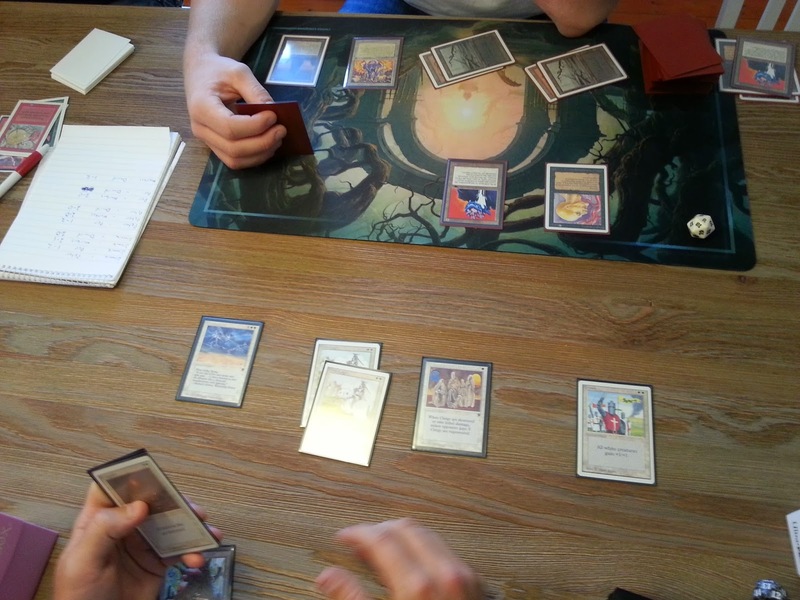 Earlier this month the Arvika players gathered for a playtesting tournament. Markus "Kungmarkus" Guldbrandsson wrote a short report of the evening and sent over some sweet pictures to post here. Thanks a lot Markus, looking forward to see you all in two weeks at BSK! 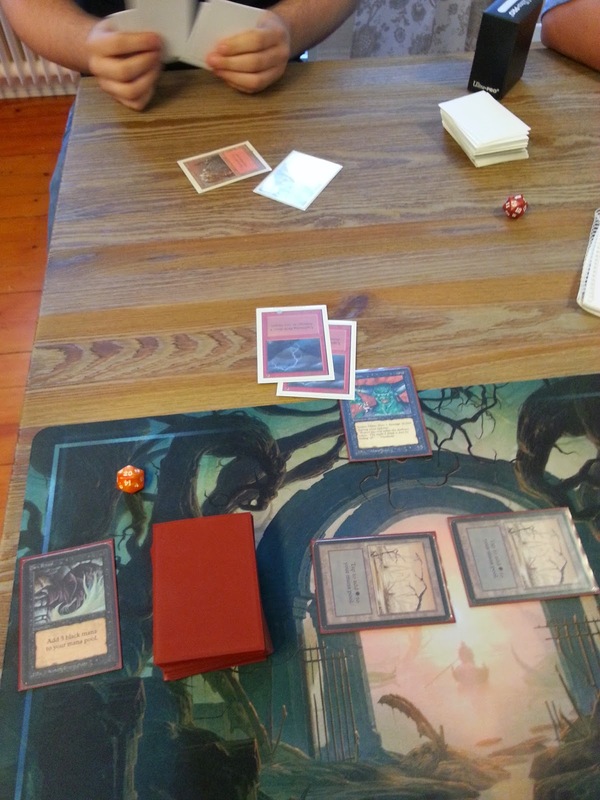 Now that my fiancee is asleep, my son is in a good mood sitting next to me in his high chair and the dog is sleeping on my feet, I think I have the time for a short report from last weekends playtesting tournament in Arvika. 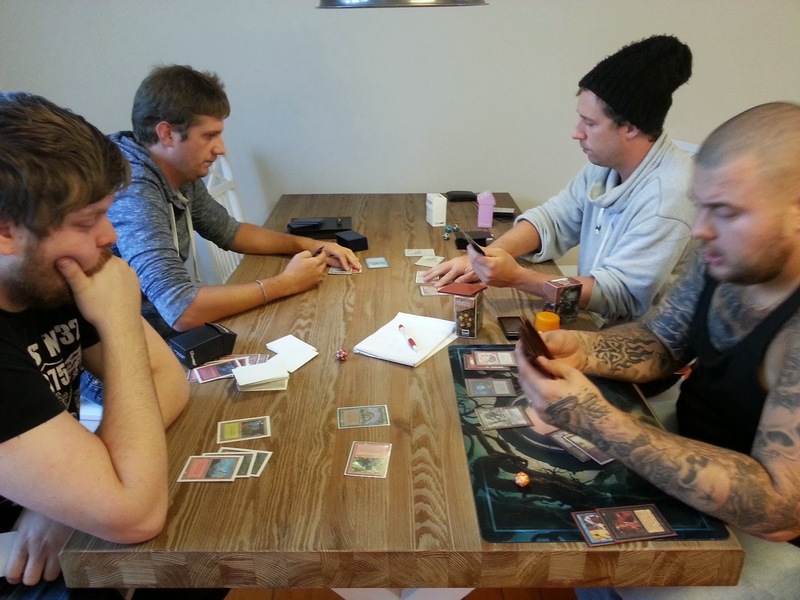 Five people showed up, myself playing UBR Control, Jimmie "Polers" Magnusson playing RG Beatdown, David "Svetzarn" Strandberg playing mono black Colossus, Per Pettersson playing White Weenie, and Peter "Strutsen" Berndtsson. 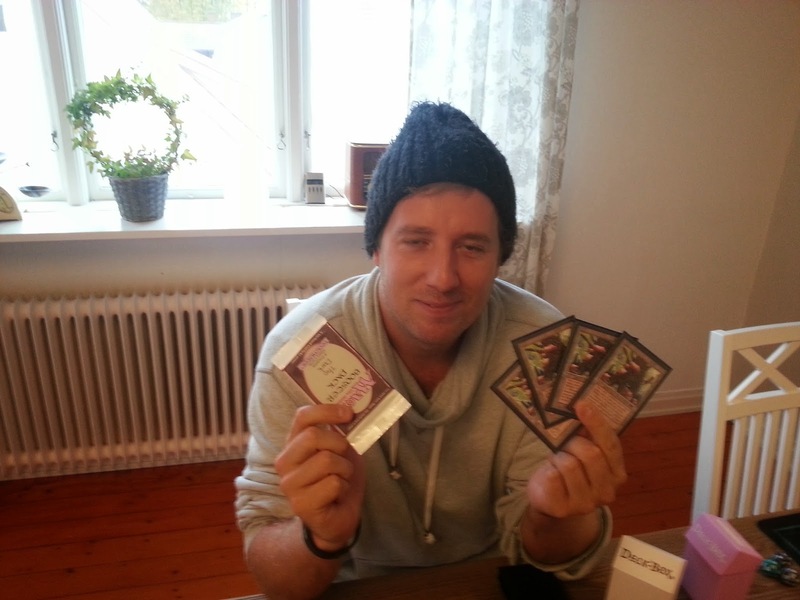 Strutsen is an old school player who hasn't played magic in many years but recently joined us again. I'm glad too see him back in business! 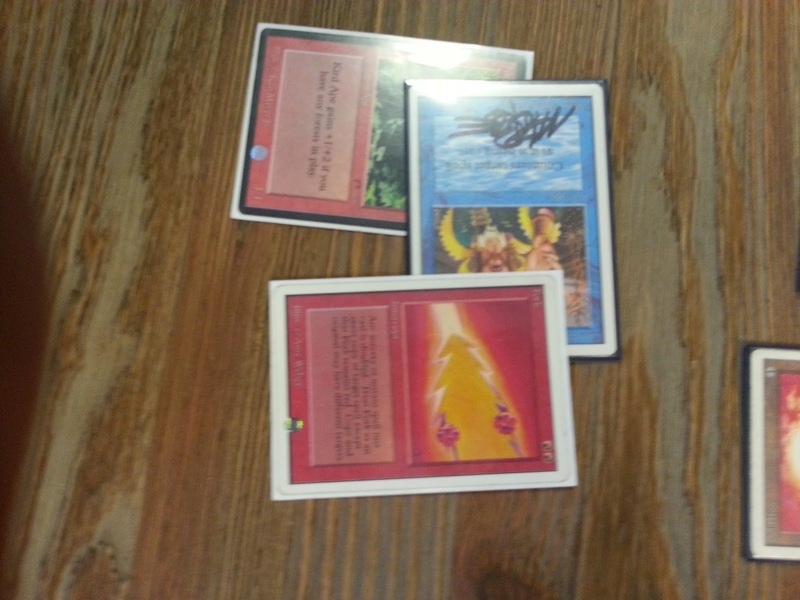 He talks about building a mono black aggro for himself but today he was borrowing an mono blue suicide aggro from Svetzarn. On the left Polers and Strutsen, to the right me and Per Pettersson. We all played against each other and after that the two players with the most points played each other in a final. I had a really bad day and ended up last with zero points. Per Pettersson with his White Weenie was unstoppable today and won the final against Peter and ended up with five straight wins. Congrats Per! 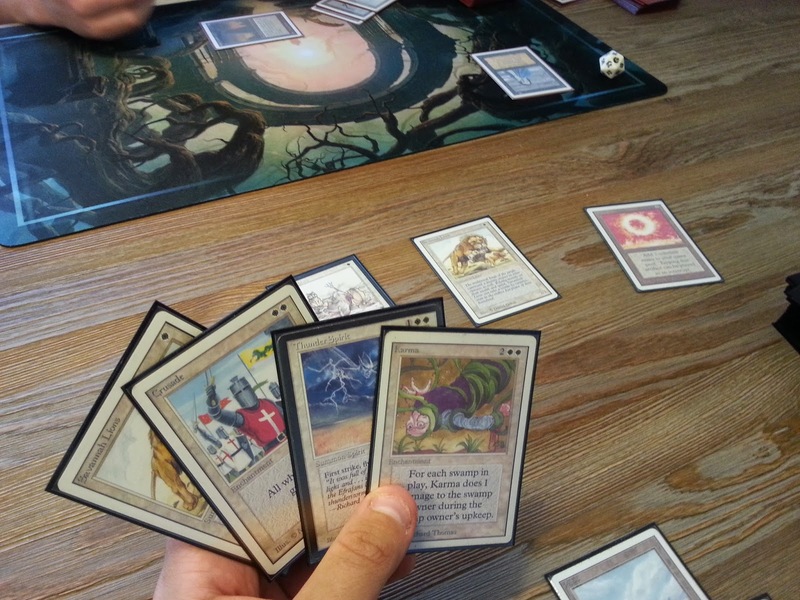 My second turn Juzam didn't last long. As I told you before I had a really bad day! Mono black Colossus against White Weenie! ​ Per Pettersson with his first price. 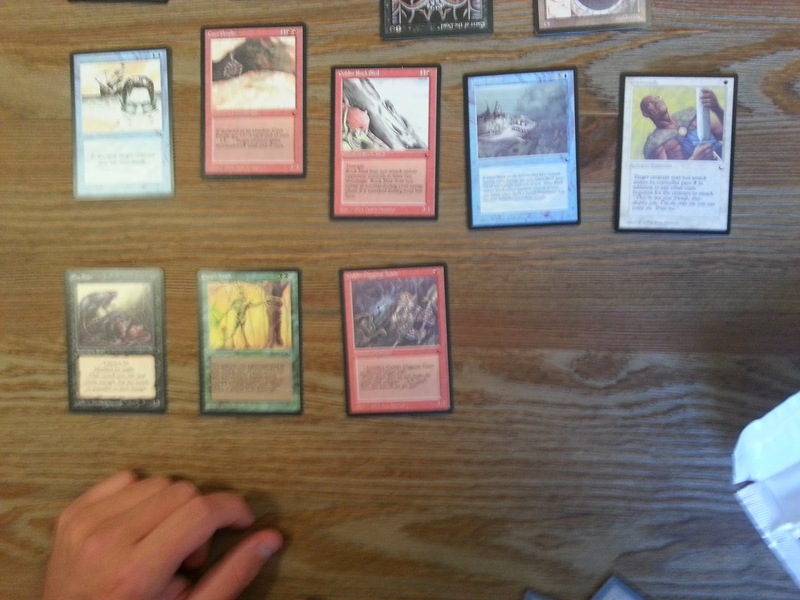 A The Dark booster and his new favorites; the very hard to stop Mishra's Factory.